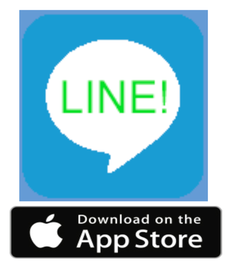 Welcome to Line-It! Here is a quick rundown of what you need to know to get started. Feel free to contact us at info@urbanbyte.io if you have any questions, or would like to make suggestions on how we may be able to improve our product. Create New Show: The next step is to load your script which should be placed in your Dropbox in PDF form. When you choose the Create New Show button a dialog will appear which allows you to pick a PDF file from Dropbox and import it into Line-It. If you need to do any edits to the file itself it should be done before importing it into Line-It as it cannot be edited or replaced once it is imported into Line-It. Create your Character List. Choose the Character List Setup button, then choose Add Cast Member. From here you will be prompted to add a name, e-mail, and choose the color you would like to use for the character. Show Setup. Show Setup contains common show information. Here you can add information related to the venue. One quick note about the venue: the venue contains the show name. This is the same text that is used to save your files. When a file is saved Line-It will automatically append a timestamp to it to help you differentiate between versions of the show. Here you can also set up your note short hands. For example, for a skipped line you could use the short hand “skp”. Now when you add the note the “skp” will appear next to the note for the performers reference. Page Setup. We acknowledge that the page number of your PDF and the page number printed on the script’s page might not always match up. For example, say a script was scanned and the first page of the PDF is actually page 5 of the script. You can account for that here by updating what we call the page mapping. To page map go to the script by using the button in the upper right corner of the screen. Once in the script you can You can navigate your script. By using the gray arrows on the upper right hand corner of the screen. To advance to the next page, just tap it. Once you’re there, you will see another arrow appear on the upper left hand side. Tap this arrow to go to the previous page. Make your way to the page you want to start your updated numbering from. Next, return to the setup page and choose the Page Setup button, a prompt will appear. In the text field, type the page number you would like this page to be. Line-It will automatically update the numbering of all the pages before and after it. You are now ready to begin giving notes. Add Line Note: Select this tool to add a line note to the script. First draw a circle around the line you would like to give a note about. The “prompt” will allow you to choose the character and note you would like to give. When complete save the note and now you are ready for the next one. Delete a Line Note: Select this tool and then touch the note to be delate. You will get a confirmation prompt confirm or cancel. Edit a Line Note: Select this tool If you already added a note and want to change or update the note. This will return you to the note prompt page were you can make the wanted changes. Once complete save and you are now ready for your next note. Move a Line Note: Select his tool if you would like to move a note you have already entered. Simply touch the note and circle were you woud like it moved to. The export function saves the show and its notes into a Line-It show file (.lsf) to Dropbox. This allows the user to save each days notes before starting a new session. To import a Line-It show file, first select the file in Dropbox then tap load. It is worth noting that the Dropbox view will only display folders and .lsf files. This feature allows for stage managment staff to hand off session to other members of the team. You can also save your noted script to a PDF file. This process is identical to exporting the note file: browse to the location you want to export it to and tap Export as PDF. Line-It will save the show to your iPad anytime it enters the background (i.e., you press the home button). If you would like to save the show to your iPad manually, tap Save Show to iPad. The date and time the show was saved is displayed just below the button.